As Coordinator and initiator of this European cooperation project, the Forum d’Avignon has a leading role in its organization. Forum d’Avignon is leveraging the experience and know-how of 5 years arranging and implementing a International Meeting with major repercussion at European level. Forum d’Avignon is in charge of the implementation of activities in France, and it provides its support and know-how to the coorganizers so that the quality of the International Meetings and studies can be internationally recognized. It will ensure that all activities are carried out and monitor the efficiency of the methods. The european centre for creative economy GmbH (ecce) has a major role in making possible this transnational network and make it grow and evolve from a Franco-German idea to a fully European one. Like in the case of BM-30, ecce has a solid experience in the impact of culture on territories, and its input has been crucial in defining the theme. Since the Catalyse announcement, ecce is actively cooperating in the definition of the project by regularly sharing ideas and experiences from the Creative. Quartier development in 10 cities. Its input in the field of reflection tackled is also be key to structure the work to be developed during the time of the cooperation. At local level, ecce is in charge of the coordination of one working group and the organization of the International Meeting, Forum d’Avignon Ruhr and events in Essen. Finally, as the main contact with the associate partner Labkultur.tv, ecce is also having a major role in coordinating the communication strategy for the full project. As coorganizer, BM-30 is actively cooperating in the definition of the project by regularly sharing ideas and suggestions. The vast experience of the organization in the main theme of the project, the impact of culture on territories, is also key to further develop the activities in each of the countries. At local level, BM-30 is in charge of the coordination of one working group and the organization of the International Meeting, Forum d’Avignon Bilbao and events in Spain. Likewise, BM-30 is coordinating specific tasks of communication and dissemination for the project as a whole. The association Bilbao Metropoli-30 (BM30) was established in 1991 to carry out the implementation of the Strategic Plan for the Revitalization of the Metropolitan Bilbao. It is a non-profit partnership with around 140 members, both public and private. This Plan of Revitalization included cultural, economic and social aspects, but it was certainly the facilitation of the construction of the Guggenheim Museum in 1997 one of the key elements to realize this plan, surpassing all expectations of success. 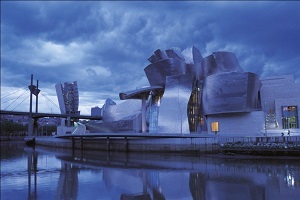 Currently, the organization focuses on projects that will enable Bilbao to make the most of the change already seen, projecting the metropolis as a European world-class city in the Knowledge society, carrying studies and research projects, and facilitating exchanges with other cities and regions in Europe, and around the world. Bilbao Metropoli-30 has developed several international cooperation agreements with other European and international partnerships prior to this project. Among them, we underline the agreements with Latin American cities to organise the City and Values Forum which, after its first edition in Bilbao in 2006, was held in 2007 in Valparaiso (Chile), in 2008 in Cuernavaca (México), in 2009 in Bogotá (Colombia), in 2010 in Miraflores (Perú), in 2011 in Maipú (Chile) and in 2012 in Mérida (México). Being the largest content platform for culture and creativity in Europe in the nonprofit sector, having produced more than 950 HD films and 300 Blogs so far, Labkultur.tv have a central role in the communication strategy of the project, especially online. Over 20 authors from 10 cities in Europe report on cities within the world of digital and social change, German and English with 4 – 6 blogs and films per day. They discuss the influence that culture has on city development and analyze the production and life situations of artists and creators. It employs on a permanent basis seven cameramen, bloggers, cutters, editors, content managers, live stream services and social media managers – many of them with a professional experience in the field of public TV, city communication or newspaper. It reaches about 20.000 readers, fans and contacts per day via web and social media. This amounts to more than 7.000.000 contacts a year. LABKULTUR considers culture & creativity as the engine of urban future – a culture that surrounds us as soon as we open our eyes in the morning. Culture accompanies us through the day, it shapes our city life. From reading the newspaper to a discussion about copyright, from appreciating street art to evening concerts or visiting the theatre: all these influences make our district alive and appealing. With such competences LABKULTUR.tv has been media partner or producer at high-end event such as the Frankfurt Book Fair, Expo Shanghai, PICNIC, the CI Conference Tallinn, the European Creative Industries Alliance Opening Conference in Mailand, transmediale Berlin and Forum Avignon.